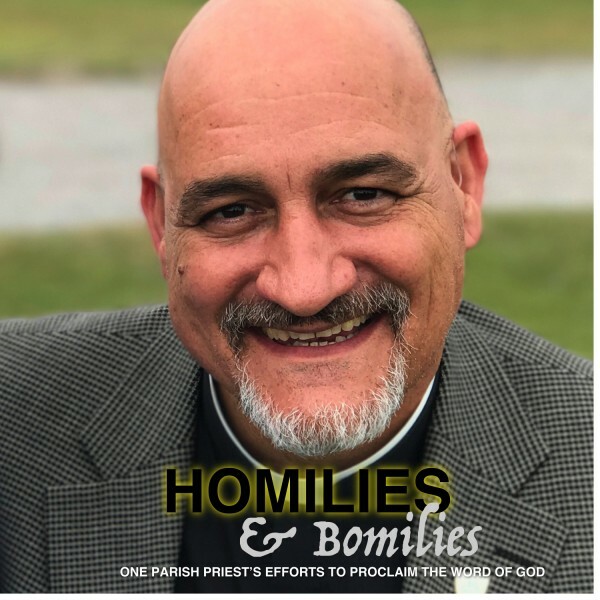 "Homilies & Bomilies" is a podcast featuring the Sunday and Daily homilies preached by Fr. Vaughn Treco. "Bomilies" is a term of affection coined by Fr. Treco's youngest daughter, Cathryn, to identify those of her father's homilies that did not quite hit the mark. Fr. Treco is a convert to Catholicism from Evangelicalism via the Anglican Church. He was ordained a Catholic priest for The Personal Ordinariate of the Chair of Saint Peter on May 3rd, 2015. He is the Parish Priest of a Ordinariate mission parish, Church of Saint Bede the Venerable. Saint Bede's is generously and graciously hosted by Church of the Holy Family, a parish of the Archdiocese of Saint Paul and Minneapolis. The Holy Sacrifice of the Mass is offered with the eloquence of Prayer Book English through "Divine Worship: The Missal," the Ordinariate Form of the Roman Rite. In order to support his service to Church of Saint Bede the Venerable, Fr. Treco makes himself available for preaching parish missions within the United States, the United Kingdom, The Bahamas (his native land), and just about any place at which an aircraft is able to land. Parishes or other organizations that are interested in having Fr. Treco preach a mission may contact him at father.treco.mission@icloud.com. Note: Fr. Treco makes every effort, and desires always to present faithfully the teaching of Jesus Christ through the Roman Catholic Church. As such, he welcomes fraternal correction. Content Copyright Belongs to parishREACH, Inc.